What happens if I don't replace my missing tooth or teeth? 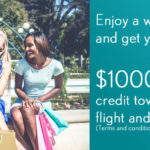 | Smile Angels of Beverly Hills - Bruce Vafa DDS. More than 178 million people in the United States alone are missing teeth. Researchers report that that number is expected to rise within the next two decades. It is not uncommon for us to treat a patient who is suffering from a tooth injury, gum disease, or cancer. 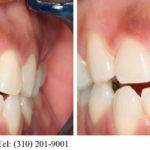 At smile angels of Beverly Hills, more commonly the not, we have witnessed that the majority of our patients have the misconception that the issues associated with a missing tooth will go away without treatment. The truth is, a missing tooth contributes to more than an older appearance and less attractive smile. A patient who experiences tooth loss is more likely to be diagnosed with additional health ailments. Those health ailments might include coronary artery disease, obesity, different kinds of cancer, diabetes, and other nutritional changes to try to supplement this change in the oral cavity. Bone resorption is just another way of saying bone loss. Patients who don’t replace their missing teeth suffer from broken down tissue in the area the missing teeth once were. This condition causes a release of minerals. It is a disorder in which the calcium from the bone tissue is transferred to the blood. Bone resorption ultimately results in a ripple effect. As the protective barrier formed by the tooth becomes nonexistent, the patient begins to experience multiple physiological disorders at once. There is a stronger possibility of the patient losing multiple teeth as a result of the one tooth that was lost. Not only is the area with the missing tooth affected, but so are the teeth surrounding the area. One of the most common negative effects after losing a tooth is losing the ability to eat some of the foods you enjoy. 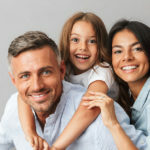 Depending on which tooth is missing, it is important for the patient to understand that he or she will not be able to chew certain kinds of food unless that tooth is replaced. Additionally, this could lead to wear and tear on the surrounding teeth due to overuse. Likewise, a missing tooth could create a domino effect in which the patient refrains from eating foods rich in nutritional value because of the discomfort associated with them. A case like this could lead to malnourishment, a weakened immune system, and possibly make the individual more susceptible to other health ailments. In due course, a missing tooth could create a domino effect of oral disease caused by cyclical oral his orders. For example, the new space created by the shifting tooth is will become difficult to maintain. A situation as severe as this being left untreated could result in the adjacent teeth shifting. This is body’s natural way of attempting to fill those gaps. All in all, when it comes to missing teeth, time is of the essence. The patient is susceptible to bacteria, excessive build-up of plaque, and cavities. This is a condition strong enough to completely impact and change a person’s life. Your New Year’s Resolution Your Dental Health! 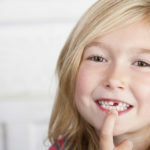 What Should You Do When Your Child Loses a Tooth?